Mormon Wookiee: #33: Temple wedding of Rose and Ryan. My sweet baby sister-in-law Roseann got married in the Idaho Falls Temple today! Rose and Ryan met a couple of years ago in their Single's Ward (just like me and Diane!). In my humble opinion, Rose is one of the most wonderful people you will ever meet (and Ryan isn't too bad either ;)). I am so happy for them and wish them the best in their new marriage. 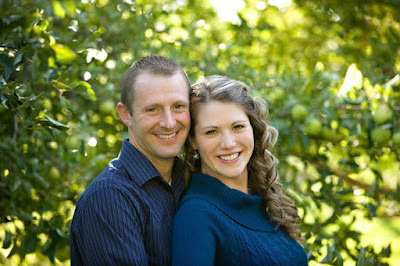 One of Rose and Ryan's engagement photos. Rose was the last of Diane's siblings to get married (7 for 7! ), and it was a wonderful wedding. 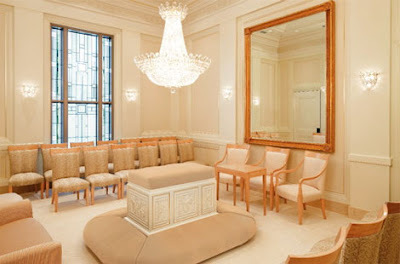 For those of you who may be unfamiliar with an LDS temple wedding, in the temple a husband and wife are sealed together for eternity. You can think of being sealed as the same as links in a chain being welded together. This chain will stay connected even after death. During the sealing ceremony, the couple kneels across an alter and promises to be faithful to one another (and then they have a newlywed smooch, of course!). If we live up to the promises we make in the marriage sealing, we will have the chance to live together as a family after we die. I think it is one of the most beautiful parts of the gospel. First newlywed kiss after coming out of the temple! The kids watched "Attack of the Clones" (also an appropriate title for all the movie sequels that came out this year) while we finished taking wedding pictures. This is the ONLY time you will ever see my brother-in-law Jed caught dancing on camera. Feeding each other some wedding cake (without a single cake-face-smash). Rose dancing with her dad (and one of my best friends). Grabbing the garter. Ryan, you sly dog. Baby cousins rockin' out to some swing music. "All the single ladies!" (Kayne West's favorite music video of all time). Last but not least, here is a tribute video to Rose and Ryan from Rose and Diane's brother Ben. Congratulations on your wonderful wedding, Rose! I sure do love ya. And may the force be with you....always.